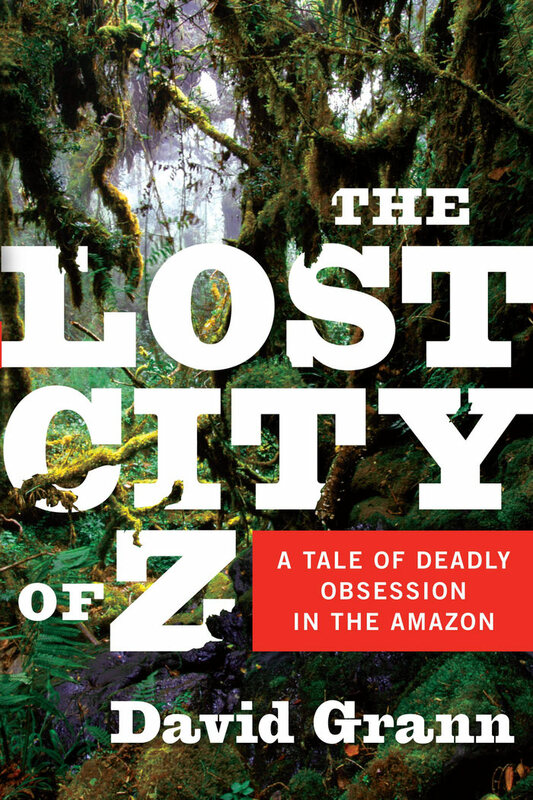 The Lost City of Z, by New Yorker writer David Grann, recounts Fawcett’s expeditions with all the pace of a white-knuckle adventure story. The book is a model of suspense and concision. By the end, Grann wins us over with his own hard-won experience. He has geared up, abandoned his family and climbed into the vortex himself—stung by his subject’s obsession. But Grann differs from Fawcett in two important ways: Unlike the colonel, he knows he is no match for this badland; and equally unlike him, he lives to tell the tale. What a grand tale it is!…Thoroughly researched, vividly told, this is a thrill ride from start to finish. Fawcett mapping the frontier between Brazil and Bolivia in 1908. E. A. Reeves, the Royal Geographic Society's map curator, was charged with turning Fawcett into a gentleman explorer. For centuries, Europeans viewed the Amazon as a mythical landscape, where Indians might have heads in the middle of their chests, as this sixteenth century drawing illustrates. The legendary kingdom of El Dorado, in a sixteenth-century illustration printed in Germany. Dr. Rice’s 1924-25 expedition included a machine that would revolutionize exploration: the airplane. A member of Dr. Rice’s 1919-20 expedition deploys a wireless telegraphy set - an early radio - allowing the party to receive news from the outside world. Acclaimed biologist James Murray was a member of Shackleton’s British Antarctic Expedition and later joined Fawcett on a horrific journey in the Amazon. An Indian in the Xingu fishes with bow and arrow, in 1937. Many scientists believed the Amazon could not provide sufficient food to sustain a large, complex civilization. &ldquo;Strong as horses and keen as mustard&rdquo;: Jack Fawcett and his best friend, Raleigh Rimell, on the 1925 expedition. Fawcett’s older son, Jack, who dreamed of being a movie star, accompanied his father on his deadly quest for Z.
Percy Fawcett with Raleigh Rimell and one of their guides shortly before the expedition vanished. &ldquo;I have never felt so well,&rdquo; Jack Fawcett wrote his mother during the fateful expedition. Commander George M. Dyott launched the first major mission to rescue Fawcett, in 1928. Brian Fawcett, who had been left behind on the 1925 expedition, was eventually drawn into the jungle himself. James Lynch and his sixteen-year-old son, James, Jr., set out into the jungle in 1996, in the hopes of finally solving the Fawcett mystery. The Kalapalo Indians—including these, photographed by a missionary in 1937 -- were believed to know what really happened to Fawcett and his party. Paolo Pinage (left), who guided the author into the Amazon, rests in the house of a Bakairí Indian during our trip. The archaeologist Michael Heckenberger chats with Afukaká, the chief of the Kuikuro Indians. The author (front) treks with Bakairí Indians through the jungle along the same route that Fawcett followed eighty years earlier. Two Kuikuro Indians dance in celebration of the &ldquo;whirlwind&rdquo; spirit. Kuikuro Indians participate in one of their most sacred rituals, the Kuarup, which honors the dead. An aerial shot of the Kuikuro settlement with its circular plaza and domed houses along the perimeter. &ldquo;How long could we carry on&rdquo;: Fawcett (foreground right) and his men facing starvation during their search for the source of the Rio Verde in 1908. Fawcett’s longtime assistant Henry Costin posing with an Amazonian tribe in 1914 that had never before seen a white man. Fawcett's younger son Brian pored over his father's diaries and drew illustrations depicting his adventures. The drawings, like this one, were published in Exploration Fawcett in 1953 and further fueled Percy Fawcett’s legend. The Brazilian journalist Edmar Morel with Dulipé—the &ldquo;White God of the Xingu&rdquo; -- who, in the 1940s, became a central figure in the Fawcett mystery. In 1951, Orlando Villas Boas, the revered Brazilian pioneer, thought that he had found proof of Fawcett’s fate. A news story about Albert de Winton, the Hollywood actor who, in 1933, had vowed to find Fawcett dead or alive.